Metropoli Ecosystems was born in 1987 with the objective of working in cities and territories to globally contribute to the acceleration of their economic development, competitiveness, life quality, and sustainability. Our projects integrate two essential components “urban intelligence” and “digital technology”. 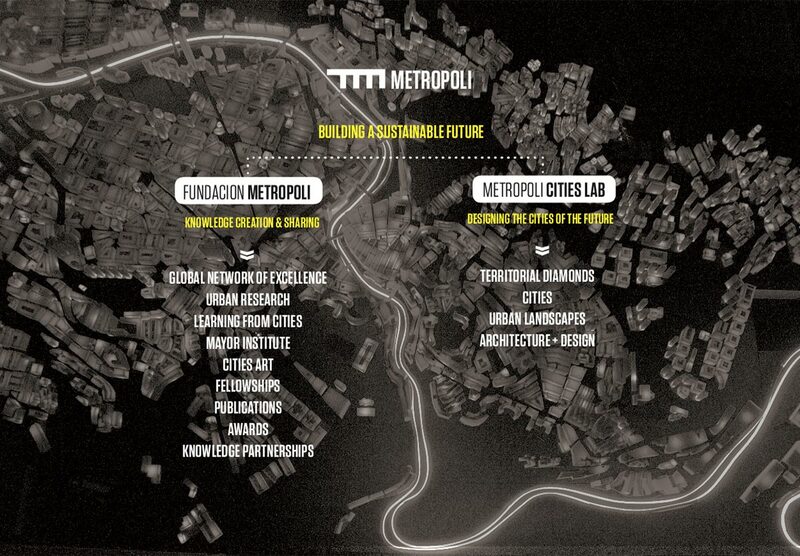 Metropoli Ecosystems has received numerous international recognitions, from the United Nations, the European Union, the European Council of Spatial Planners, Institutes of Architects and Business Associations; from which is worth highlighting, the European Urban & Regional Planning Awards in three occasions, and the Global Smart Cities Award in 2015.